Content is an important corporate asset that can provide a huge value to the organization. For organizations that are looking to gain the most widespread use from their content, Vasont Systems is providing a demonstration showing how content can be reused and published for technical documentation, marketing, and training applications. This demonstration of the Vasont Content Management System (CMS) will be conducted at the WritersUA Conference for Software User Assistance, to be held on March 11-14, 2012 at the Peabody Memphis in Memphis, TN. The focus of the Conference for Software User Assistance is on developing the best possible user experience for all types of software applications through helpful and accessible support information. Integrating approved content from technical documentation into training and marketing materials using an XML content management system expedites the publishing process and provides accurate information in learning courses and presentations, as well as other deliverables. Vasont Systems’ demonstration will show the reuse and repurposing of content into PDF, PowerPoint, and a Learning Management System (LMS). Designed to improve productivity and time-to-market of products, the Vasont CMS makes it easy for organizations to manage their multilingual technical documentation and business information. The system’s comprehensive single-source functionality stores content once, ensuring accuracy and increasing the efficiency of repurposing content to multiple media formats while managing the workflow and the overall business process of creating and publishing content. Headquartered in Pennsylvania, Vasont Systems is a provider of XML content management software and data services, backed by more than 60 years of experience in the information management and publishing industry. Its Vasont® content management system enables organizations to manage and store their multilingual content once for multichannel delivery. Fortune 1000 companies and organizations from industries including manufacturing, technology, publishing, and healthcare use Vasont to manage and produce multilingual technical documentation, training programs, and reference materials. 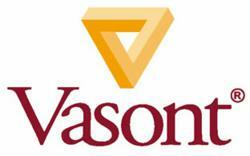 Vasont® is a registered trademark of Vasont Systems.